Gabby + Eric are planning to get married next Spring at the amazing Vinoy Hotel in Downtown St. Petersburg. 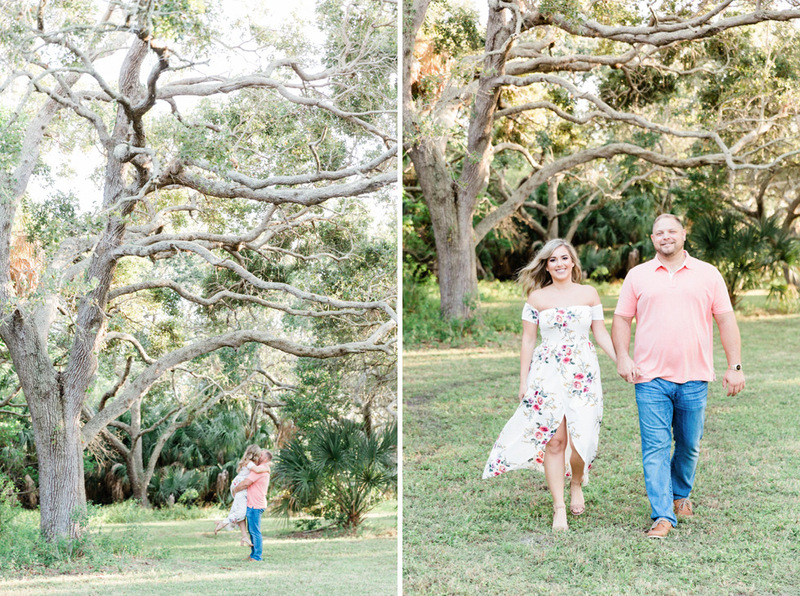 We’re looking forward to celebrating with them then, but we recently got the change to meet up with them at Fort De Soto for an engagement shoot! 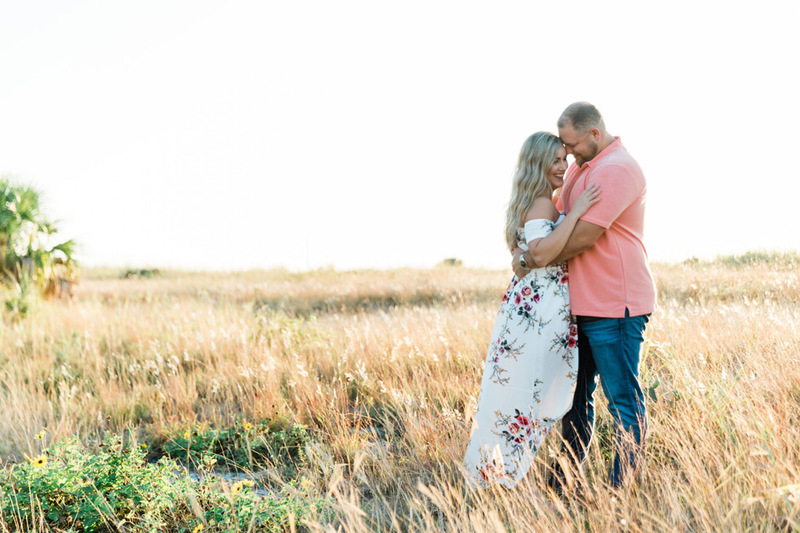 We had a great time getting to know this sweet couple better during their engagement session, and our Master Photographer Cornelia did such a great job capturing some gorgeous images of them both! These are just a few of our favorites from their sunset session that we wanted share! 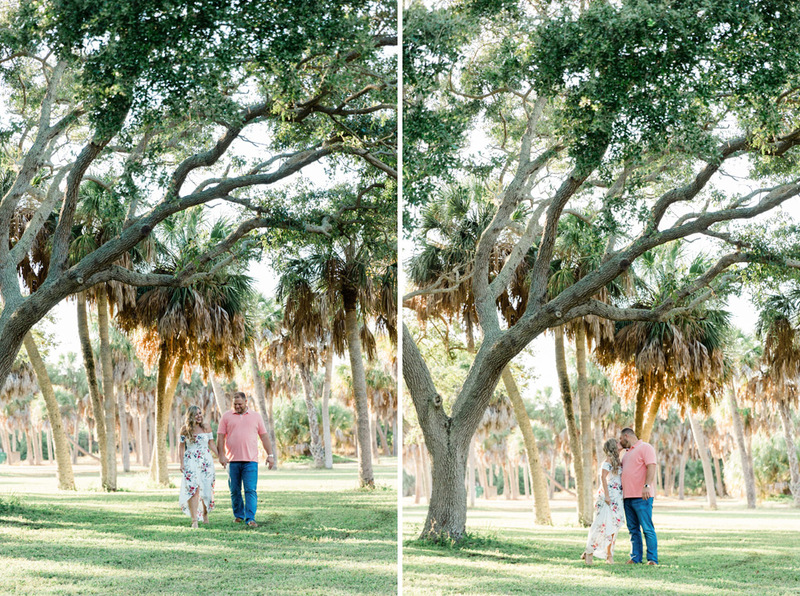 We love doing engagement sessions at Fort De Soto. There’s such an awesome combination on beach and trees for a fun variety of looks for our couples! We are loving how picture-perfect the beach looked for Gabby + Eric on the day of their photo shoot! These two look so happy and completely in love in every single photo. They are such a sweet and wonderful couple! We love these images of Gabby + Eric by the beach as the sun was starting to set over the water. They’re so breezy and warm and feel like Florida! Congratulations on your engagement Gabby + Eric! We can’t wait to celebrate your wedding with you next Spring!